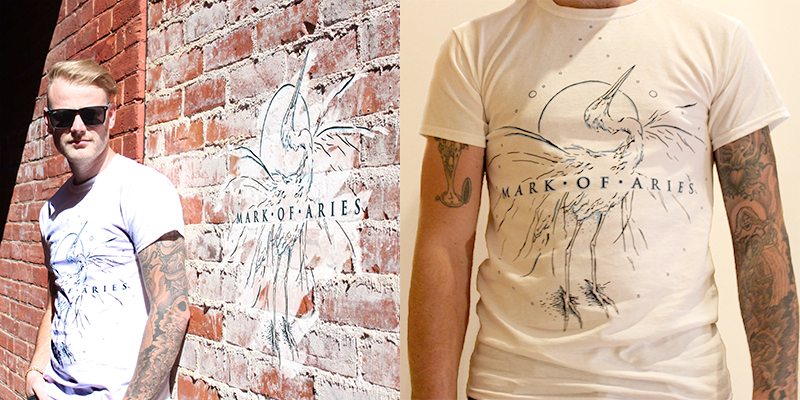 Mark of Aries is a art brand that will focus on all sorts of media that i can use as an outlet to be creative with my art. The first method i have chosen is t shirts and i have printed my hand drawn designs on them. These designs are and will be influenced by pop culture/ film / comics / anime / video games/ sci-fi/ fantasy and anything in between. Each design varies as much as whatever my current influence might be, delivering a range of creative shirt designs to choose from to purchase. Kind of an all over the place concept but I like this drawing. I would just suggest printing a little smaller, I think it might work better.